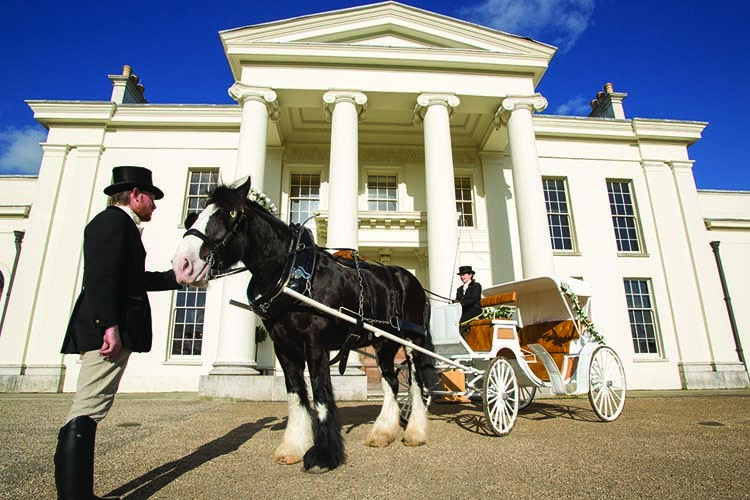 The Hylands Horses have been resident at Hylands Estate since 2008 to fulfil Chelmsford City Council’s ambition of having working horses on the Estate. Joe, a shire horse, and Roy and Falcon, who are Suffolk Punches, are owned and cared for by Hawthorn Heavy Horses. 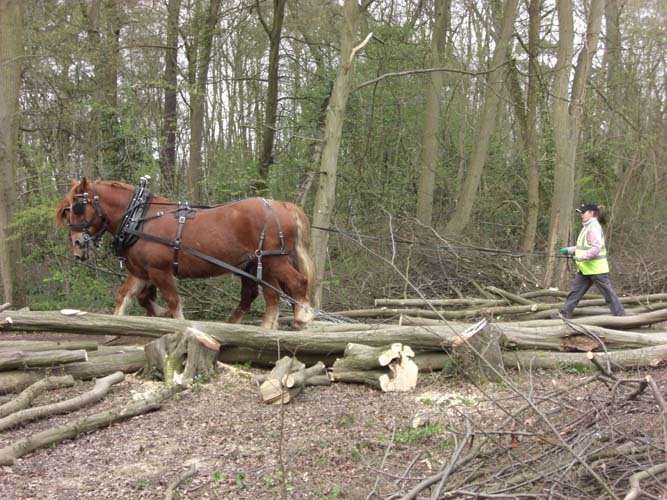 The horses help manage the park in an environmentally sensitive way, specialising in woodland management and timber extraction. Firewood that the horses collect as part of their work can be purchased from The Stables gift shop. There are a number of activities planned throughout the year to enable visitors to interact with the horses. The Hylands Horses give carriage rides for the public from the Adventure Playground. Rides last approximately 10 minutes and cost £3 per person. With no need to book in advance this activity is a fantastic addition to a family day out in the Estate. No need to book, just turn up! 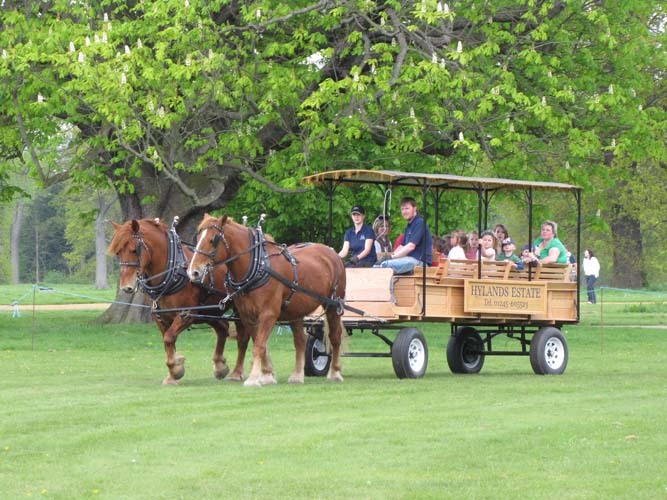 The full schedule of carriage ride can be found on the Hawthorn Heavy Horses dedicated website. Spend the day with the Hylands horses to experience what it is like to work with such magnificent animals. Offering monthly workshops in either carriage driving or horse logging, there are opportunities to learn about the many aspects of how the Horses work on the Estate. No previous experience is necessary and with only four attendees on each course there is plenty of hands-on time. Days begin with meeting the horses, before grooming, harnessing and preparing them for work. With an introduction to rein and voice commands and a demonstration of the task at hand, the reins are handed over. The full schedule of workshops and booking details can be found on the Hawthorn Heavy Horses dedicated website. Bags of firewood logs produced by the Hylands Horses are available from Hawthorn Heavy Horses. 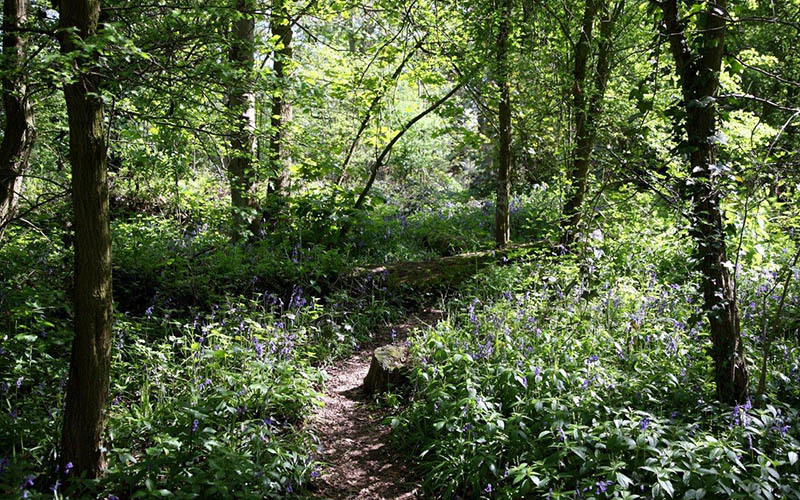 The logs are excellent quality hardwood, mainly Hornbeam and Ash, which are produced from the sustainable coppicing that the horses are doing on the estate to conserve the valuable woodland habitats at Hylands and other local woodlands. In addition it is very sustainable with very little carbon used in its production, making it possibly the most environmentally friendly fuel in Essex. Bulk loads are also available to order at £90/cubic metre.